City of Tshwane is classified as a Category A Grade 6 urban municipality by the Municipal Demarcation Board in terms of section 4 of the Local Government Municipal Structures Act, 1998 (Act 117 of 1998). The Municipality was established on 5 December 2000 through the integration of various municipalities and councils that had previously served the greater Pretoria regime and surrounding areas. On 28 May 2008, a proclamation through the Government Gazette was made to incorporate the former Metsweding District Municipality, including Dinokeng tsa Taemane (Cullinan) and Kungwini (Bronkhorstspruit) into the borders of City of Tshwane. The incorporation, which gave birth to the new City of Tshwane in May 2011 after the local government elections, was in line with the Gauteng Global City Region Strategy to reduce the number of municipalities in Gauteng by the year 2016. The new City of Tshwane which has a Mayoral Executive System combined with a ward participatory system in accordance with section 2 (g) of the Determination of Types of Municipality Act, 2000 (Act 1 of 2000), and section 2(1) (c) (vii) of the North-West Municipal Structures Act, 2000 (Act 3 of 2000); it has 105 wards, 210 councillors and about 2,5 million residents, and is divided into seven regions. It covers 6 368km² of Gauteng’s 19 055km² and stretches almost 121 km from east to west and 108 km from north to south making it the third-largest city in the world in terms of land area, after New York and Tokyo/Yokohama. An estimated 90% of all research and development in South Africa is conducted here by institutions such as Armscor, the Medical Research Council, the Council for Scientific and Industrial Research, the Human Sciences Research Council and educational institutions such as the University of South Africa and Tshwane University of Technology. • address gender focused issues in the economy by dealing with the inequalities and mainstreaming women, youth and the disabled; and develop a monitoring mechanism to evaluate projects. Solly Tshepiso Msimanga was born on 16 July 1980 in Atteridgeville where he grew up and attended school. He matriculated from the Saulridge High School. 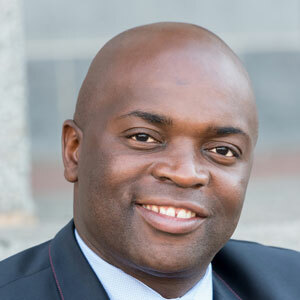 Msimanga holds a National Diploma in Marketing Management as well as a Bachelor of Accounting Sciences in Financial Accounting (BCompt) degree from the University of Pretoria. Before he became a politician and upon becoming active in politics he held a number of senior management positions in the private sector. He held positions as National Lead Director and Gauteng Provincial Director. He is a graduate of the Democratic Alliance Young Leaders Academy. He previously occupied the position of DA Gauteng Spokesperson for Sports in the Provincial Legislature and also served on the Education and the Economic Development Portfolio Committees. He is currently the DA Chairperson in the Gauteng North Region.